Slots Magic offers the Best Online Slots which offer bonus features, free spins, wilds and loads more. Of course we also list the actual online casino called Slots Magic Casino too! We have sourced the most up to date slot games from RTG, Playtech and Microgaming. Slots Magic offers you an excellent choice of Online Slot Games and free online slots from the most reliable, safe and trusted Online Casinos. That's why the choice is clear......."Slots"...."Magic". 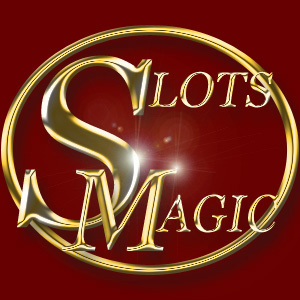 Looking for Slots Magic Casino? Bonus: R10 000.00 Worth of Welcome Bonuses available. Thunderbolt Casino is a Rand Casino that uses the RTG Gaming Software. They have incredible weekly casino promotions and loads of Free money also on offer plus a great selection of localised banking options so that South African Players can deposit directly via their banking account with no need to use a credit card. Popular ewallets offered too. New Players can claim up to R10 000.00 worth of Deposit Bonuses. Springbok Casino is an Online Rand Casino that uses the RTG software and is dedicated to South African Players. They have a very exciting 3D Slot called Orc vs Elf which is full of bonuses. It does take a little while to download as there is lots of graphics but its well worth it! You can also claim up to R11 500.00 worth of Free deposit bonuses. Silversands Casino is the 2nd oldest online casino in South Africa after Piggs Peak . Movie goers may remember the ad where the cat walked over the keyboard - Yes , That was the Silversands advert. Asides from their large selection of random progressive slots and vast range of Table Games - they are also a casino with a heart as they regularly donate large amounts of money to various charities such as The Tomorrow Trust who received a whopping R250 000.00 donation from Silversands during the 94/7 charitable drive. Its nice to know that not only do you get the chance of lining your pockets with some lucky winnings , but the knowledge that a portion of your deposits is also going to a charitable cause is quite heart warming too! Winner Casino is a Playtech Online Casino that accepts Multiple currencies including South African Rands. They have an excellent reputation and have been operating for years. With over 140 games including Slots like Pink Panther and more - you will have no problem finding a casino game to suit you. There is also no need to play for real money if you just want some entertainment. Why not give their games a try today? Maybe you have questions regarding the security of playing cash games online or are unsure about which game suits you. Whatever your concern, we have you covered with our guide to getting started with online casinos. Slots Magic has a Fantastic New Slot Game called Dolphin Gold which is packed full of Blue and Gold Dolphins which offer Free Spins, Stacked Wilds and all sorts of other bonuses. This is an exciting game to play, and quite frankly - rather addictive!! Slots Magic offers play in every currency imaginable and also have a website in practically every language too, so no matter what country you are from - you can play at Slots Magic. G'Day Casino has an Australian theme but unfortunately can no longer offer their services to Players resident in Australia, but they do allow players from many other countries, including South Africa. They have a great selection of slot games from many different slot providers and are always adding new slots like Gun's n Roses which is a spectacular slot full of expanding wilds, different bonus features and of course tracks from the Guns n Roses albums.